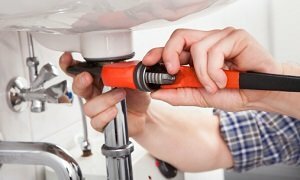 Residential & Commercial Plumbing Services | A Step Above Plumbing Inc. 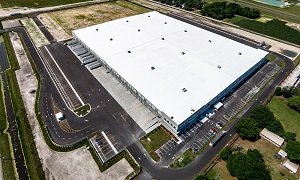 Residential & Commercial Plumbing Services | A Step Above Plumbing Inc.
At A Step Above Plumbing Inc., we offer commercial plumbing services throughout Lithia, Florida and surrounding areas. We can handle the higher volume needs and get things repaired quickly and efficiently. For top-quality residential & commercial plumbing services in Lithia, FL, visit us at A Step Above Plumbing Inc. We have plumbing contractors who work on large-scale and small-scale projects every day, so we can take on any plumbing issue you may encounter. When it comes to plumbing, most people would prefer not to think about it too much. However, if you notice a potential plumbing problem on your residential or commercial property, you can save a lot of time and money by solving the problem sooner rather than later. At A Step Above Plumbing Inc., we offer plumbing services to residents in and around Lithia, Florida. Our list of services is extensive and includes repairs of pipes, toilets, water heaters, drains, and faucets for both our commercial and residential clients. We can also stop a running toilet, clear a clogged drain, and bring out a plumbing contractor to determine the best option for any plumbing predicament. We have been offering our plumbing services in the area for more than a decade, and our owners have kept the business strong even through difficult economic times and recessions. We understand the needs of our clients and their busy schedules, which is why we offer early morning appointments starting at 7:00 a.m. Weekend appointments are also available. 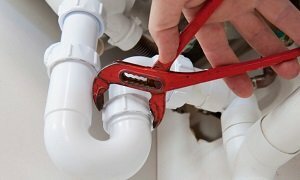 We are a full-service residential and commercial plumbing company and we have contractors on staff who are happy to help with any emergencies or concerns. Our team can repair a plumbing problem of just about any size. If you notice that your toilets or sinks are slow to drain, you may want to give us a call as soon as possible, so we can resolve the problem before they back up and cause more significant water or other damage. Contact us today for more information—we look forward to serving you! For top-quality residential & commercial plumbing services in Lithia, FL, visit us at A Step Above Plumbing Inc.
Our contractors understand local building codes and requirements. We will make sure all repairs we perform meet these requirements to provide a safe and healthy work atmosphere for your staff. At A Step Above Plumbing Inc. our residential plumbing team has been working to repair drains, faucets, pipes, and toilets throughout the Lithia area since 2003. Put our experience to work for you! At A Step Above Plumbing Inc., we provide residential and commercial plumbing services in Lithia, Florida and the surrounding areas. From toilet repair and water heater installation to fixing clogged drains, dripping faucets, and broken pipes, we can take care of all your plumbing needs in Lithia, FL. Contact A Step Above Plumbing Inc.